Rotherham United could have their new head of recruitment in place by the end of the international break. New manager Kenny Jackett describes the role as a “key appointment” and wants the successful candidate behind his desk as soon as possible. Jackett wil have a major say on who is given the job and interviews are now being conducted. 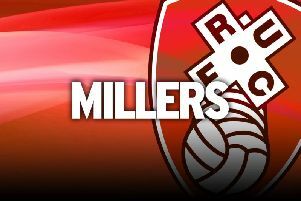 There is no guarantee the successor to Gee Evans, who parted company with the Millers during previous boss Alan Stubbs’ reign, will have bee named by the time Rotherham face Derby County on November 9, although Jackett would like that to be the case. Jackett wants the new man to begin work immediately on identifying targets for the next transfer window which opens on New Year’s Day. The club are bottom of the Championship and their dealings in the month-long window could have a crucial bearing on whether they survive in the second tier. The new boss, an experienced Championship campaigner, knows new blood is required and has already signed former Premier League forward Peter Odemwingie as a free agent. Rotherham advertised the position when Stubbs was still in charge but the process was inevitably delayed when he was sacked and Jackett took over. “We feel we are moving in the right direction we want to solve thuis one very quickly because January is coming and it will be key for us,” Jackett added. The Millers received a good number of applications for the post. The club recruited heavily during the summer after Stubbs’ June 2 arrival but many of those signings have struggled to make an impact at New York Stadium. The Liverpudlian lost his job after winning just one of his 13 league matches.